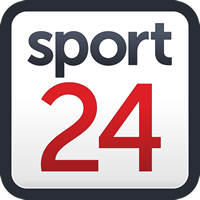 Vodacom Bulls prop Trevor Nyakane is relishing the scrum battle that awaits on Saturday when his side open their 2019 Vodacom Super Rugby campaign against the DHL Stormers. While the teams haven’t been finalised there are few that will forget the scrum demolition in the Currie Cup game last year in the rain-shortened game at Loftus Versfeld and the comeback that the Blue Bulls put in to make the semifinal go down to the wire a few weeks later. But this weekend the much vaunted Stormers pack will be looking for a big win, and the Bulls will need to be able to live up to the hype they have created in the pre-season. “It’s going to be a challenge, but I’m excited, we had a taste of it two weeks ago. It went alright but they will have their full strength side so we are looking forward to it and it will be a great day,” Nyakane said. “It’s rugby, one day you are up there and one day you are down and its part of how scrums go. We haven’t played them as a full-strength side as well. We can’t wait to see what they bring to the table and what we bring to see who wins that battle but at this point in time, we need to work on what we need to work on and see how it is going to go. In the #SuperheroSunday game the Bulls were hit hard for mistakes that cost early tries, and this won’t be the case again. Nyakane believes the Bulls will tighten their game up.